March 8 is International Women’s Day. We are celebrating International Women’s Day and acknowledging all the social, economic, cultural and political achievements of women. 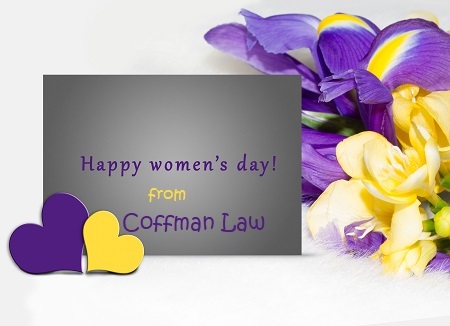 At Coffman Law, our workforce is 60% driven by women, with our paralegal in her final year of law school and her sight set on joining the list of licensed lawyers for the state of Florida.